Ampking AKVTC6 18650 3000mAh High-drain Battery - 40A is a high-performance rechargeable lithium battery, made for high discharge current (max.40A) applications and enough to run high drain devices. Application: Electronic Cigarette, LED flashlight, wireless communication, camera, and many other digital products and electronic devices. Long storage life, light weight and high energy density! • Note 1: Users must have knowledge on how to charge and discharge Li-Ion batteries before making Li-Ion Battery Packs. We are NOT responsible for any damage that is caused by the misuse of Li-Ion Batteries. • Note 2: 1 piece each pack. 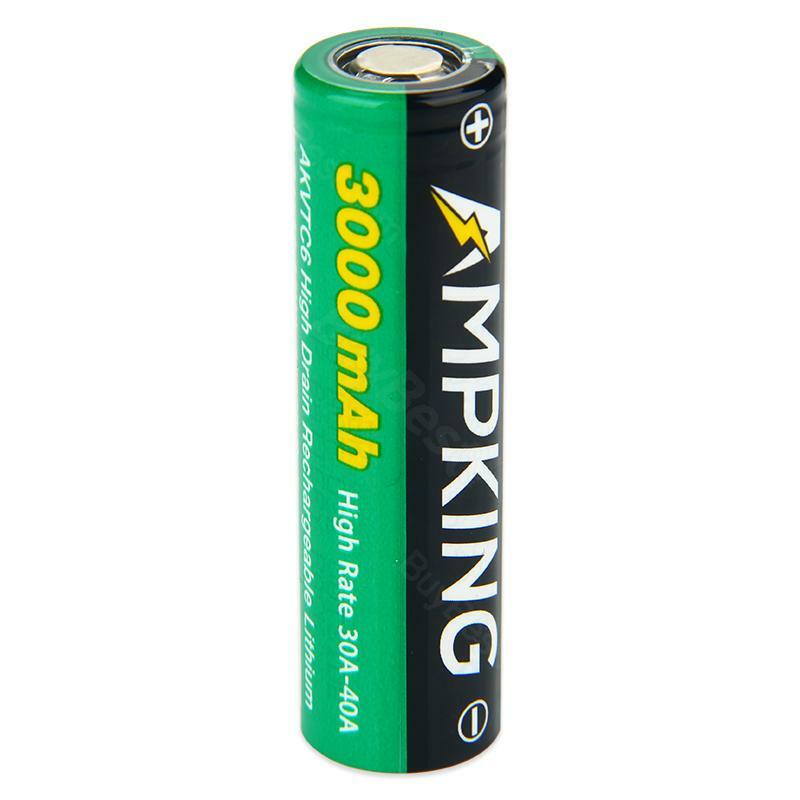 Ampking AKVTC6 18650 40A High-drain Battery designed for high discharge current (max.40A) usage. Long battery life, light weight and high energy density - they are suitable for 18650 MOD ecigs.